new tpp polish the best ! Awesome! 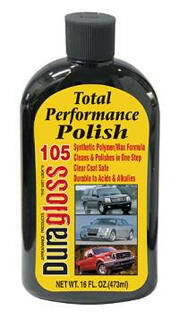 especially when used on top of clearcote 111 sealant. unbelievable. This is the most amazing polish finish I have ever used ! I already had a few coats of 111 Clear Coat on my car and it looked pretty shiny, but after applying a coat or two of 105 TPP, the shine was incredible !! It looked like you could dive into it, it was so liquid !! This polish is the puppies parts !!! I didn't think that the 111 polish could be bettered, but after applying a coat of this on top of 111, the shine is absolutely amazing ! Out of this world !